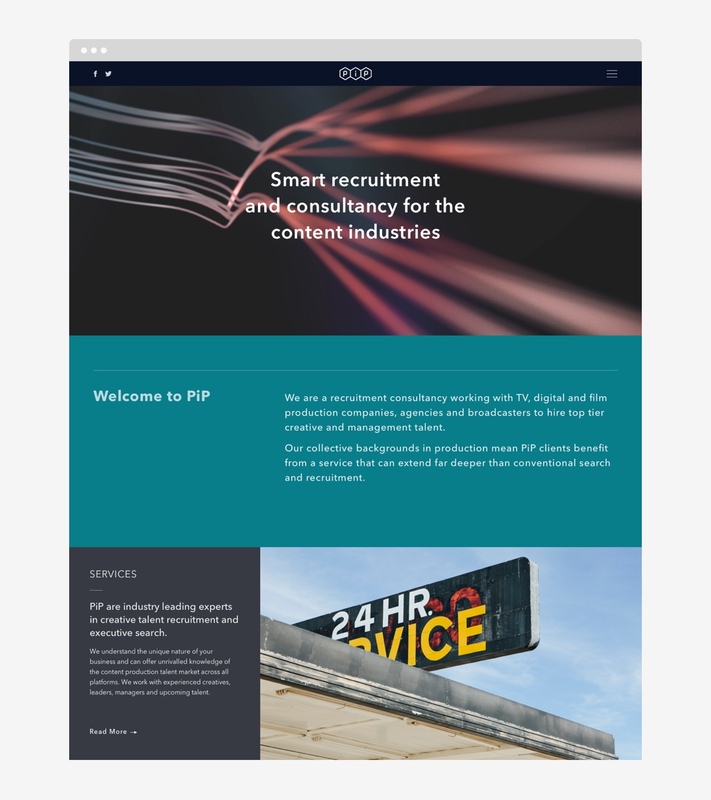 People in Production (PiP) are a TV recruitment agency with a difference, all the founders previously worked in the industry and this puts them in an excellent position to find and place candidates in a wide range of roles all the way up to executive roles with the biggest companies in TV & Film. 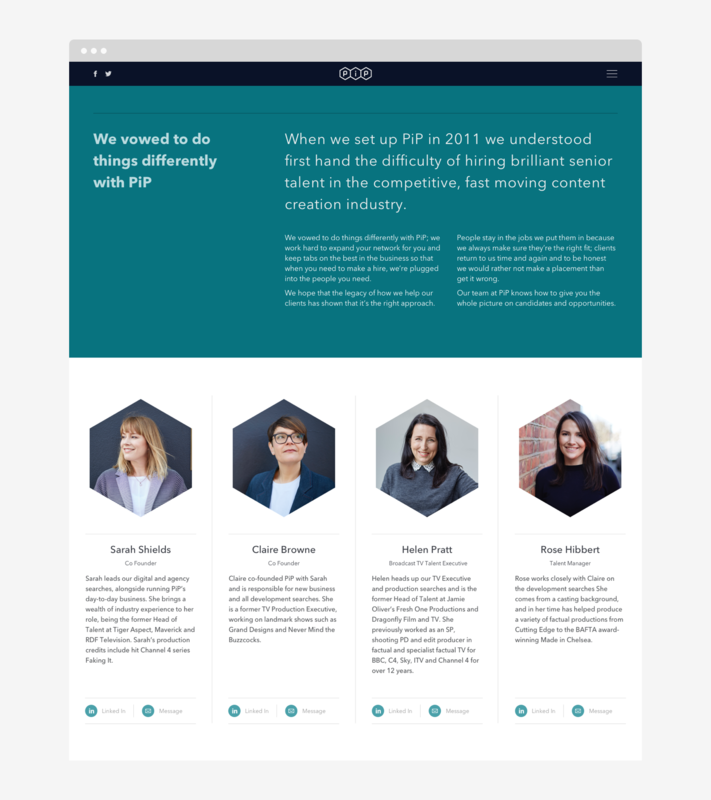 PiP are now expanding their operations and we were asked to create a new logo and website for the company to accurately reflect where they are taking the business. 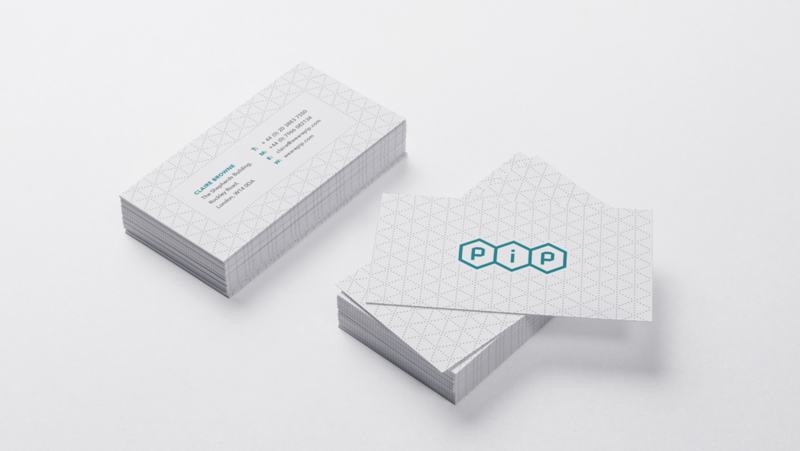 After running a some workshops with PiP we were able to establish a few concepts and ideas for their new identity. We settled on hexagons as shapes that represent bee’s collaborative and healthy work ethic. 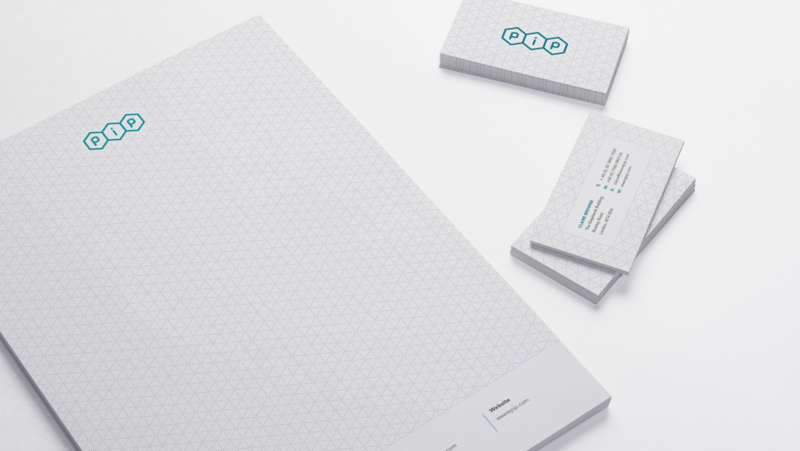 These were then developed into a clean geometric identity and we also carried the concept though to some pattern designs to be used as background elements. We urgently needed to rebrand so that we could expand and develop our company with confidence. 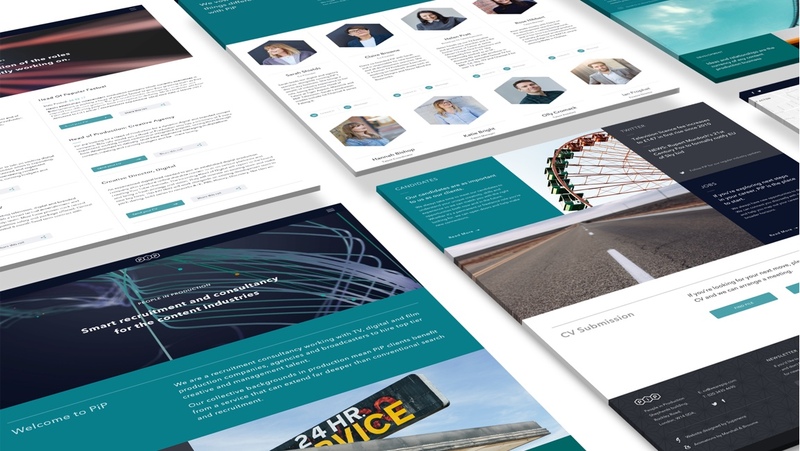 Superwire worked closely with us and devised and developed a solid visual solution that perfectly encapsulates where we wanted to take the business.